Received an authorization to take the examination notification. If you have questions concerning eligibility requirements, please call NBMTM Customer Service at 202-489-0506. 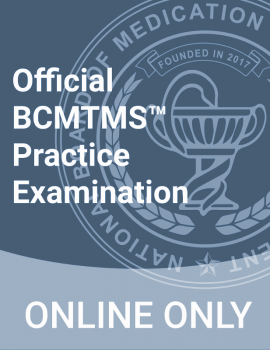 The examinations offered by the NBMTM are administered by Mettl®. Mettl® is engaged in educational and occupational measurement and provides examination administration to a variety of client organizations. Mettl® assists NBMTM in the administration, scoring, and analysis of the examinations for NBMTM. Examinations are delivered by computer at home for your convenience. The examination is administered by appointment only, every Tuesday, Thursday, and Saturday except on national holidays. Sunday appointments may be scheduled based on availability. Available dates will be indicated when scheduling your examination. Candidates are scheduled on a first-come, first-served basis. First-time test takers must create a myNBMTM account prior to schedule a test date. After you schedule your test, your myNBMTM portal will be updated with your test date and your testing time. Once an application is approved, candidates will be authorized to schedule and take their certification exam. Notice of authorization to schedule will arrive via email and will be posted to the myNBMTM account. The authorization to take the exam is valid for 180 days. Once an authorization to schedule is received, candidates may schedule an exam appointment online. NBMTM certification exams are administered by Mettl® internationally. Once an appointment is scheduled, a confirmation email will be sent from Mettl® within approximately 24 hours. Candidates with approved testing accommodations must call (202) 489-0506 to schedule exam appointments. Candidates must contact Mettl® to cancel or reschedule an exam appointment. There is no charge to cancel or reschedule an exam appointment. However, appointments must be canceled or rescheduled at least two business days (48 hours) before the scheduled appointment. For example, if an appointment is scheduled for 11:00 am on Monday, it must be canceled or rescheduled by 11:00 am on the previous Friday. Candidates who fail to appear for their scheduled exam appointment will forfeit all fees. Candidates who fail to appear for a scheduled exam appointment will forfeit all fees. 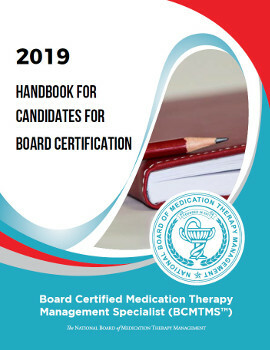 Candidates may submit a withdrawal request if an emergency occurs on the day of the exam appointment that prevents a candidate from taking the test. For more information on what NBMTM considers an emergency, please see the Emergency Withdrawals section. Candidates who are unable to test within the 6-month authorization period, or simply wish to withdraw their application, may do so from within their myNBMTM Account. Candidates with scheduled exam appointments must first cancel their appointment with Mettl®. Candidates who withdraw will receive no refund. Candidates who miss their exam appointments due to an emergency may submit an emergency withdrawal request to NBMTM. Examples of what NBMTM considers an emergency include serious illness; injury; or unexpected hospitalization; death in the immediate family; serious accident; and court appearance. Candidates must submit an emergency withdrawal request form along with official documentation of the emergency. Please see the Candidate Handbook for more information about emergency withdrawals.